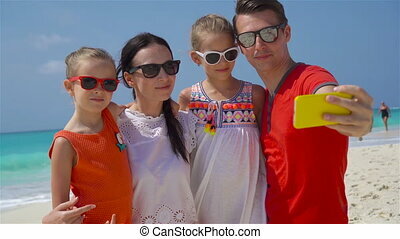 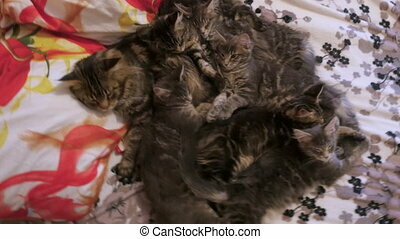 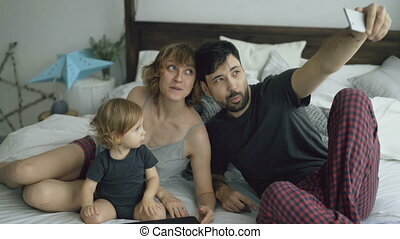 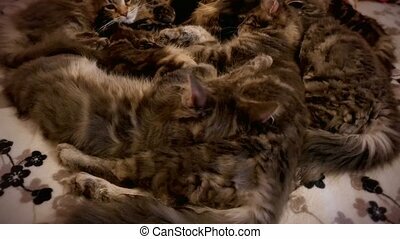 Father and kids taking selfie on bed 4k. 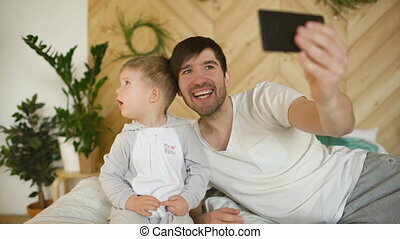 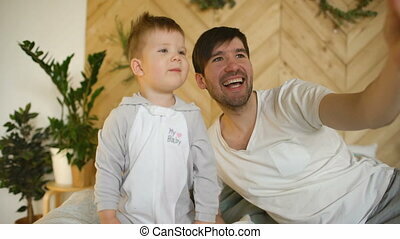 Father and kids taking selfie on bed at home 4k. 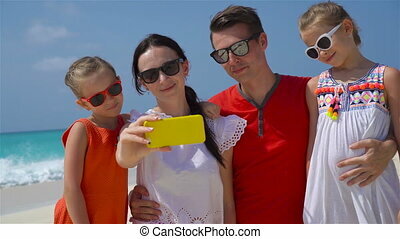 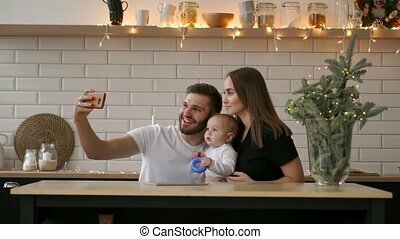 Smiling parents with baby taking selfie family photo on bed at home.